If you have a problem with an item you have bought / received please message us asap before leaving feedback / opening dispute cases etc All problems will be dealt with and resolved straight away. Colchester Breakers Ltd are the longest serving motorbike breakers in the UK. With over 30 years of knowledge and experience, we are committed to helping bikers get their pride and joy back on the road – for less! 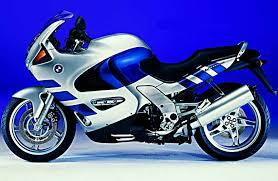 We not only provide parts at the best prices, but will give top prices for any motorbike. If you have any queries, please don’t hesitate to ask. We take care to ensure all items sent are packaged so that they are not damaged. We charge postage to cover the costs of our courier and labour. We aim to dispatch all orders within 1 working day of payment. Parts will usually be dispatched the same day as long as they are ordered before 1pm. Please ensure you will be able to receive the delivery or once we have updated your tracking information you will be able to contact our courier to arrange delivery. We can ship abroad. Please enquire for prices. See the post codes on the description if you are in Northern Ireland, Scottish Highlands or Islands, or any Channel Islands. If a part is genuinely faulty we can replace or refund it. We must receive the same item back, these items are checked carefully to ensure the correct item has been returned. A refund will not be given for an incorrect item returned. We accept payment by: Credit or Debit Card, Paypal, Cash and bank transfers. All Auction and “Buy It Now” prices include VAT. If you are local we are happy for you to come and pick the item up. We have a walk in store for customers and are always happy to help with any enquires or problems. Our opening hours are: 8.45pm – 5.15pm Mon – Friday.